Even more power for the Porsche Cayman S: TechArt Automobildesign lends the top-of-the-line model of the latest Porsche model range even more power. 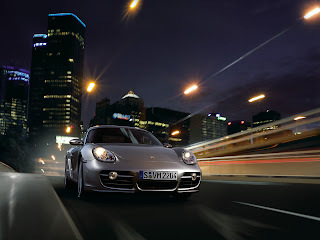 With TechArt TA 087S/C1 performance tuning power output jumps to 310 hp / 228 kW. 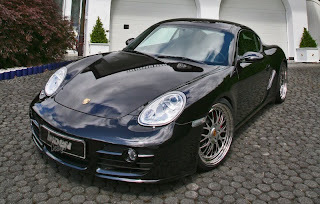 The TechArt power kit consists of a sport air filter and newly programmed engine electronics. After the installation, which can be done directly at TechArt Automobildesign or by any authorized Porsche dealer, maximum power output for each model increases by 15 hp / 11 kW. Performance improves accordingly: Depending on vehicle weight and the type of tires acceleration time from 0 - 100 km/h improves by slightly under half a second. Top speed increases by some 5 km/h. Even more important for everyday use is the even more spontaneous throttle response and the further improved liveliness of the tuned engine. 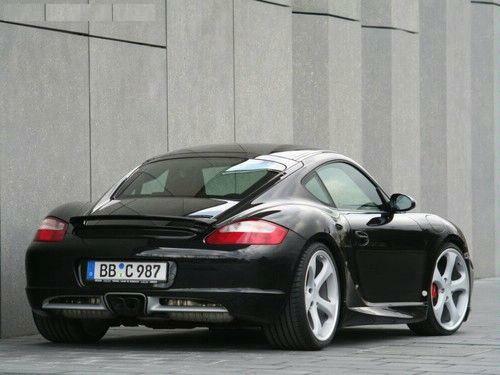 The perfect complement to the power kits is TechArt exhaust tuning, of which various versions are available. The product lineup includes black chrome dual tailpipes for the production exhaust system, a throttle-controlled sport exhaust system and a complete high-performance exhaust system with high-performance manifolds, sport catalysts and rear muffler. Sporty elegance characterizes the design of the TechArt aerodynamic-enhancement kit. The TechArt front spoiler, which is mounted to the production bumper, lends the front of the two-seater a more dynamic appearance. But that’s not all: At high speeds it also reduces lift on the front axle. The TechArt side sills were shaped to calm the airstream between front and rear wheel houses and further to give the Porsche Cayman S a lower, sleeker appearance. To optimize the lifting effect on the rear axle and to achieve a more exciting look, TechArt Automobildesign offers a rear spoiler for the Porsche Cayman S models. 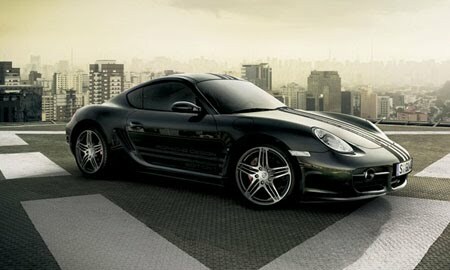 The sporty TechArt looks are also characterized by custom-tailored tire/wheel combinations. The one-piece TechArt Formula wheels are especially light weight and are available for the new Porsche Cayman S in 17-, 18-, 19- or 20-inch diameters, all TÜV-tested. The largest version features 8.5Jx20 wheels with ContiSportContact 2 tires in size 235/30 ZR 20 in front and 11Jx20 wheels with 305/25 ZR 20 tires on the rear axle. The TechArt suspensions are custom-calibrated to the new tires. For a ride-height lowering by some 25 – 30 millimeters TechArt offers sport springs, which also harmonize perfectly with the PASM suspension available from the factory. 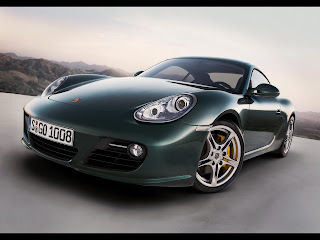 Alternatively they offer a tighter set up sport suspension that was developed in cooperation with Bilstein. As a world-renowned specialist for exclusive interiors TechArt Automobildesign also creates individual interiors for the new Porsche Cayman S in all colors and designs in the company-own upholstery shop. The lineup includes exclusive fully leather interiors and sporty accessories: TechArt offers ergonomically shaped airbag sport steering wheels with three or four spokes, and aluminum foot pedals, shift knob and foot rest. In addition there are stainless-steel sill plates with TechArt logo.